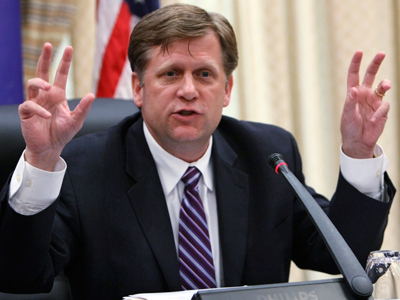 The freshly appointed US ambassador to Moscow has replied to accusations of excessive contact with Russian opposition, insisting that the meeting was pure protocol, and that Washington is ready to work with Vladimir Putin if he is elected president. 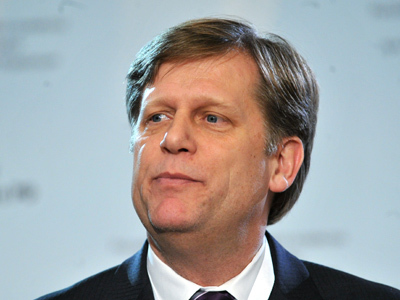 In an interview with Russian business daily Kommersant, Ambassador Michael McFaul refuted allegations that his appointment was connected with his work on so-called “color revolutions” – recent non-violent toppling of established regimes with street protests. He insisted that he was an academic, not a revolutionary and more importantly, that President Barack Obama was interested in deeper political and economic cooperation with Russia. 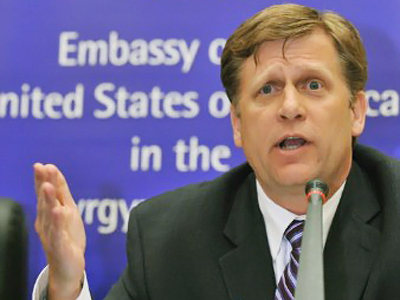 Some Russian media and public figures have recently criticized McFaul for meeting representatives of Russian fringe opposition and rights organizations. The diplomat said he did not see or read most of the critical material, but expressed surprise over such attitudes as, according to him, the meeting in question was an ordinary event held not by him, but by deputy State Secretary William Burns, with McFaul himself present only for protocol reasons. He added that the meeting was far from being the first thing he did upon arrival in Moscow, as the first thing was his meeting with Russian officials including Foreign Minister Sergey Lavrov, Vladimir Putin’s foreign policy advisor Yuri Ushakov, vice premiers Sergey Ivanov and Igor Shuvalov, and other officials.McFaul insisted that all these meetings were warm and friendly. The ambassador said that President Obama posted him to Russia to deepen the “reset” course. He added that his country was seeking cooperation leading to a “win-win” result, to benefit both parties. 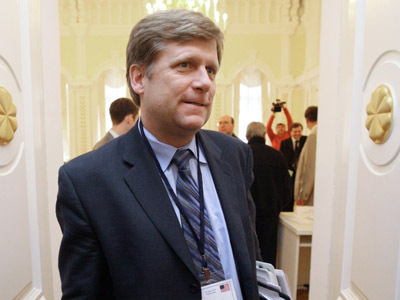 At the same time, McFaul said that the reset policy means more contact not only with the Russian authorities, but with Russian civil society as well. The ambassador stressed that Washington can work with Vladimir Putin if he is elected president in March. He said that in his view, Putin has not left politics, and President Dmitry Medvedev is acting on behalf of all Russian leaders. He also said that the United States can continue joint work with the Russian authorities if there is orderly succession in Moscow, just as the countries have been doing for the last three years. 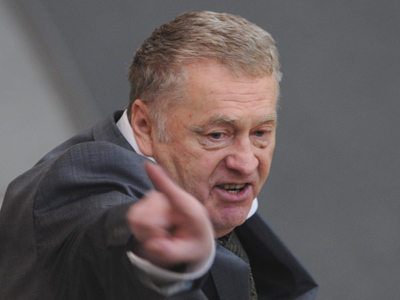 The ambassador completely denied his country was involved in one of the best-known semi-political projects in Russia – the activities of anti-corruption blogger Aleksei Navalny. He insisted that the blogger was not receiving any funds from US authorities, and added that such allegations were an insult to the Russian people, whom he called some of the most educated, complicated and creative peoples in the world.